For many people, drinking is as integral to their St. Patrick's Day celebration as wearing green or eating corned beef and cabbage. However, for those who use the mid-March holiday as an opportunity to drink to excess, the results can be disastrous, especially when getting behind the wheel of a vehicle. Drinking and driving can have dire consequences any time of the year, but particularly on St. Patrick's Day, when both DUI arrests and serious car accidents increase sharply. If you were injured in an accident caused by a drunk driver, an experienced personal injury attorney may be able to help. In anticipation of more people on the road, law enforcement tends to come out in force on St. Patrick's Day and other holidays. Those who choose to drive under the influence of alcohol are much more likely to be caught and arrested, thanks to an increase in police patrols and DUI checkpoints. Despite a greater police presence, the number of accidents that occur on St. Patrick's Day remains higher than average. For example, on St. Patrick's Day in 2010, someone died in an alcohol-related car accident every 51 minutes, accounting for approximately one-third of the traffic-related fatalities that day, according to the National Highway Traffic Safety Administration (NHTSA). These statistics are hardly surprising, considering alcohol's effects on the body, which can include drowsiness, an inability to concentrate, and delayed reactions. Unfortunately for those severely injured in alcohol-related crashes, all the DUI checkpoints in the world can't turn back the clock and prevent their accident. However, if you or someone you love was hurt in an accident caused by someone who was driving under the influence, a knowledgeable and reputable attorney can help you file a personal injury lawsuit to pursue compensation for medical expenses, damage to your vehicle, lost wages, and more. The Andrew Kim Law Firm can help you fight for the justice—and the compensation—you deserve. Contact our Bellevue law office to schedule an appointment for a free initial case consultation. 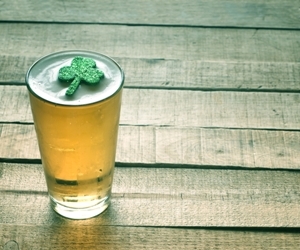 Post a Comment to "St. Patrick's Day DUI Driving Risks"